Company now able to serialise commercial batches manufactured by them for clients; it can also offer standalone serialisation services as an outsourcing partner. CDMO Idifarma has confirmed it is ready to meet forthcoming EU serialisation regulations. Following a €200k investment, the Antares Vision Print&Check EVO-TE carton serialisation station is now installed and fully operational at Idifarma’s EU-GMP approved plant in Pamplona, Spain. The announcement comes ahead of the EU Falsified Medicines Directive’s (EU FMD) February 2019 deadline for the serialisation of licensed drug products. Luis Oquiñena, general manager and co-founder of Idifarma said: “Supporting our customers to meet new regulatory requirements and combat counterfeit medicines is very important to us. “We have worked closely with our customers, the manufacturers of this machine and track and trace software vendors like TraceLink to ensure that our capabilities meet both existing and potential new clients’ needs. The industry-wide EU FMD regulation is a legal requirement for all pharmaceutical companies intended to improve traceability of drugs, help in the fight against counterfeit products entering the supply chain and ultimately improve patient safety. Oquiñena added: “Our investment offers real support to our clients as they too prepare to meet the regulations. Not only can we serialise commercial batches manufactured by Idifarma for clients, but we can also offer standalone serialisation services as an outsourcing partner. 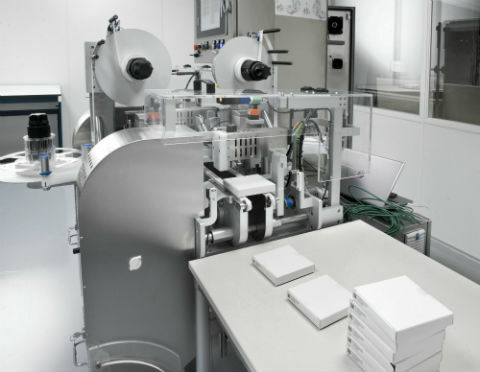 The investment in serialisation follows the expansion of both its spray drying and capsule filling capabilities and strengthens Idifarma’s position as a specialised contract partner for the development and manufacturing of oral solid dosage forms, including high potency compounds, and niche pharmaceuticals requiring small batches.